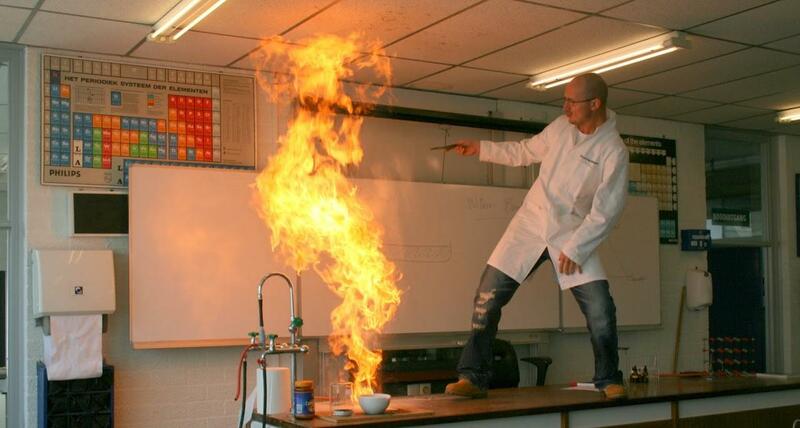 The chances are that all of us have encountered at least one school teacher or college lecturer who inspired us with their genuine enthusiasm for their work, their real desire to make sure we learned something, or just their great sense of humour. We dedicate this post to those who know how to communicate with young people, and make learning fun. We salute you! A university student brought her baby to class because she couldn’t afford to leave him with a nanny. When he started crying, her professor scooped him up in his arms and calmed him down, all the time without breaking off his lecture. This is the best way to help kids understand geometry — demonstrate the angle using your body! It was an honour to be taught by Mendeleyev himself! A real teacher always finds the tools they need to produce an accurate triangle. 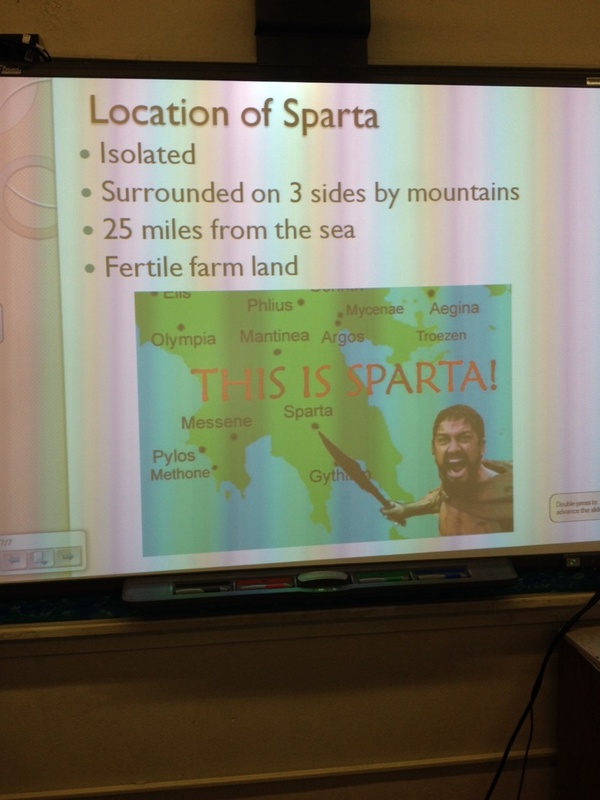 To help them remember where Sparta used to be! Every day, this art teacher draws incredible pictures to inspire his students. The latest change to the curriculum for astronomy class. 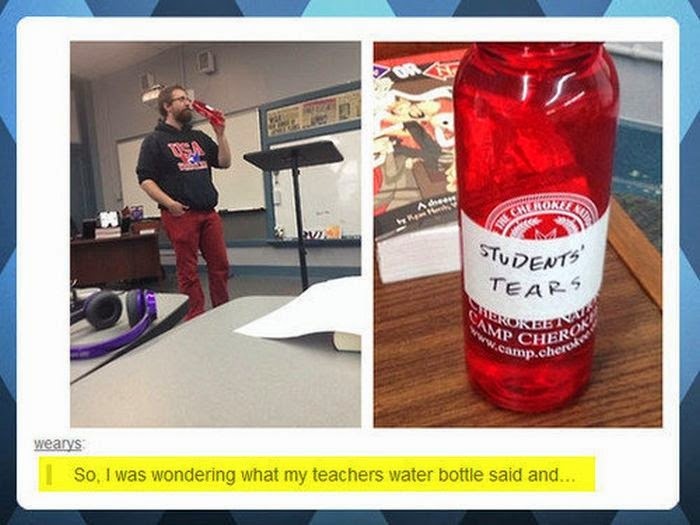 This math teacher really knows how to celebrate Pi Day. So it turns out that it is possible to form the lyrics to Lady Gaga from the periodic table. 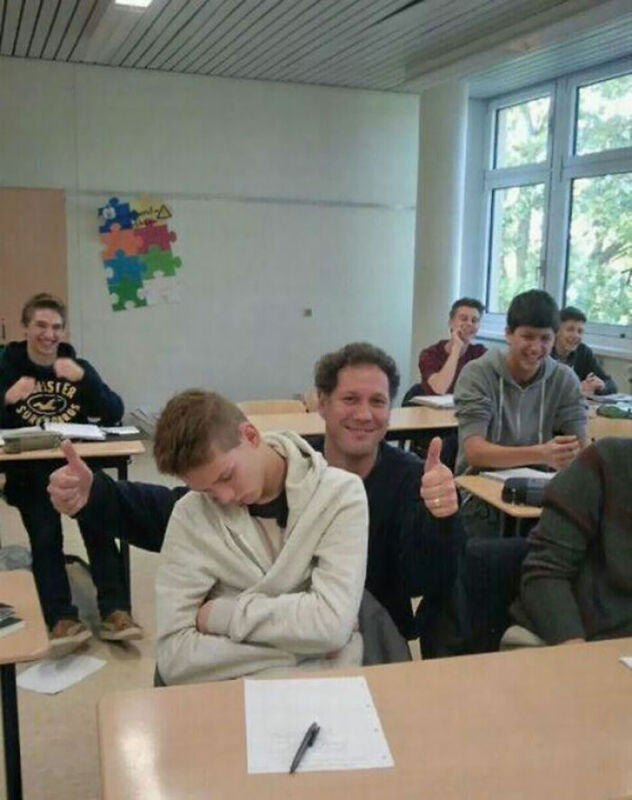 He didn’t wake him up, or tell him off...but he did cheer up the whole class! An appropriate punishment for his misbehaviour. 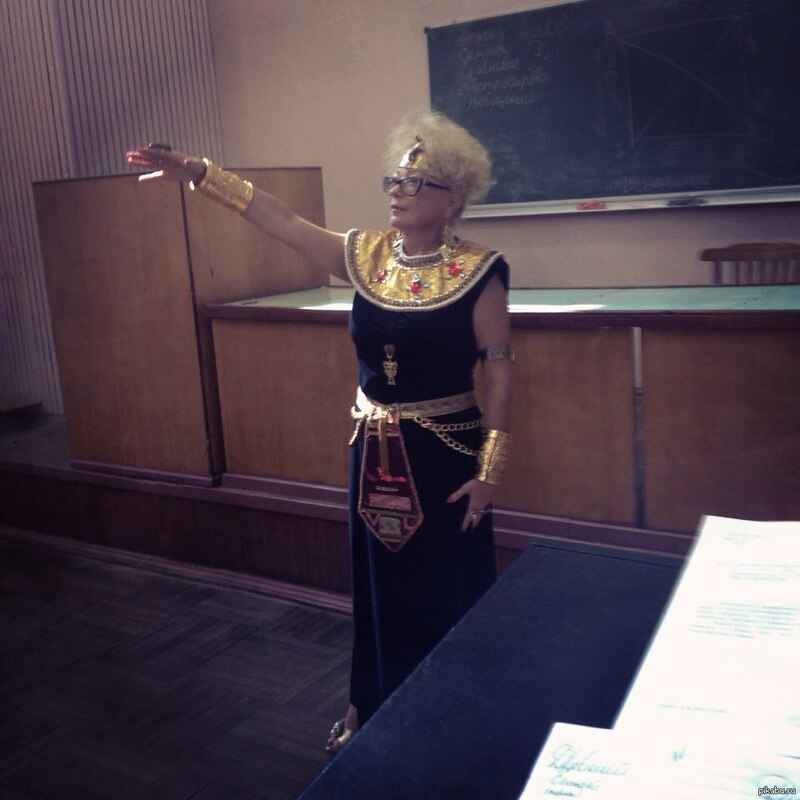 She taught her class like this after she found a stray kitten wandering round the school. Obligatory safety gear during physics experiments...obviously! It’s this kind of sense of humour which helps you get through maths class!